Custom circle power clips are generally used around offices as a stationary and it is usually employed by corporate companies for stirring the brand consciousness within their staff or targeted users. Advertisers who are targeting office going customers or wish to propagate brand values amongst their employees can find success by gifting away this personalized circle power clips. It can be gifted during promotional campaigns, corporate picnics, shopping festivals, community events, sporting events, and tradeshows. 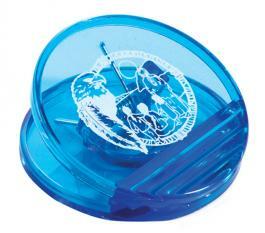 Advertisers from any genre and budget size can avail this promotional circle power clip for building their brand values and improving their goodwill.